Repair needs: Stucco is chipped., Stucco is cracked. Comment: Father backed into someone's home. Surface damage to stucco that needs repaired and painted. Comment: Requesting installation of vertical board composite siding. Full project will require installing siding around 4 windows and 2 HVAC units. Approximate area 10ft x 14ft in two locations. Install areas currently have sheathing, 60min paper, and lath. Project will require new sheathing. Repair needs: Stucco is cracked. Comment: Have a need for a professional to fix stucco mistake by a contractor. Contractor unable to level and match stucco pattern. Avondale Siding Contractors are rated 4.72 out of 5 based on 248 reviews of 10 pros. 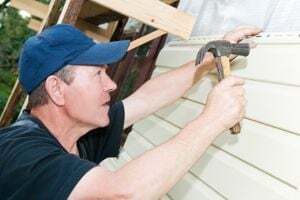 Not Looking for Siding Contractors in Avondale, AZ?